But, we own it. It’s about the the urge to evolve and the thirst for knowledge; the yearning for something foreign and the insatiable need to explore every corner of this planet. That need to escape and explore can have one dashing to a different zip code an hour away where the waves crash on a rocky coast, or jetting on a half-day plane ride where everyone rides bicycles instead of driving cars. No matter where you go, one fact remains true; you must be equipped. The Hip Traveler is a blog and E-magazine (www.thehiptraveler.com) exposing the current and up-and-coming alike; esteemed historical haunts and the tried and true favorites around the world, below budget and beyond expectation. We have dug deep, searched high and closed our eyes and just listened. We want to share the gems of this planet we call home, one city at a time, with you; our fellow Hip Traveler. Let The Hip Traveler reveal the most inspiring locations, unique experiences and thrilling hotspots in each can’t-miss destination. We seek out the local favorites and underground happenings so you can feel like you belong wherever you are traveling, and of course, all whilst in the style and the grace of a Hip Traveler. Come into our world and experience The Hip Traveler for yourself. 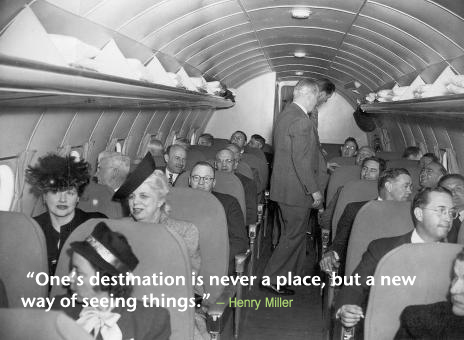 Hey, fellow Hip Travelers! We want to hear about your hip travel experiences! Share your stories by commenting and send us your favorite photos and videos from your trip! Who knows, maybe you’ll even see your photo on The Hip Traveler.